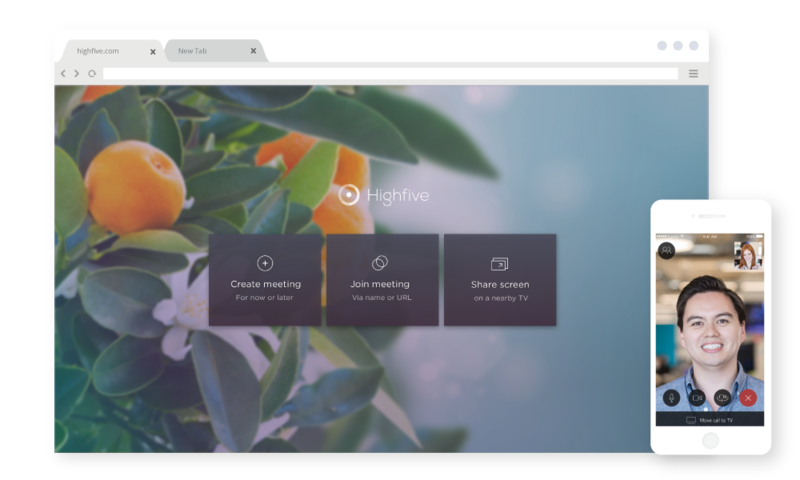 Highfive, a video conferencing startup that focuses on making video calls as easy as possible thanks to its integrated hardware and software solution, today announced that its customers can now also now join calls directly from Chrome without having to install any plugins, thanks to the magic of WebRTC. While the company will obviously continue to focus on its hardware, the ability to join calls right from Chrome significantly lowers the barrier for attendees. 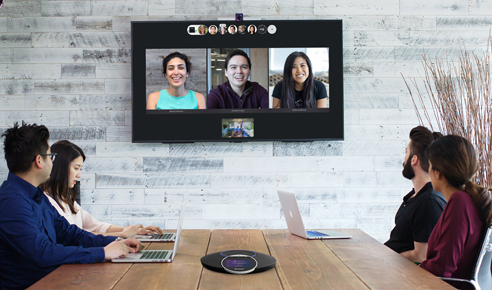 The company, which also offers iOS and Android versions of its service, notes that its WebRTC stack integrates with its meeting room hardware and that it includes all of the standard Highfive features, including the ability to share your screen, add participants and hear the high-fidelity stereo sound that’s one of the company’s main selling points for its hardware. It’s taken a while for WebRTC to go mainstream — and even today there are still issues with cross-browser compatibility. We’ve now reached the point, though, where many of these issues have been solved and a number of video conferencing services are moving ahead with their plugin-free services. These obviously include heavyweight WebRTC users like Google with Hangouts and Microsoft with Skype, but also plenty of startups that offer video conferencing and chatting features, including Vidyo and Frozen Mountain. Highfive says that it now powers more than 110,000 meetings per month, which account for about 12 million minutes of meetings. The company also says that it’s seeing about 100 new businesses sign up for its service each month. Current customers include the likes of Evernote, Warby parker, Betterment and Expensify.